Chairman of the World’s Small Island Developing States, Grenada’s Prime Minister Dr Keith Mitchell, is insisting that Caribbean countries need ‘urgent access to financing,’ if they are to achieve Sustainable Development Goals. Prime Minister Mitchell has also echoed concerns that the process for Caribbean countries to get resources such as the Green Climate Fund can be daunting. 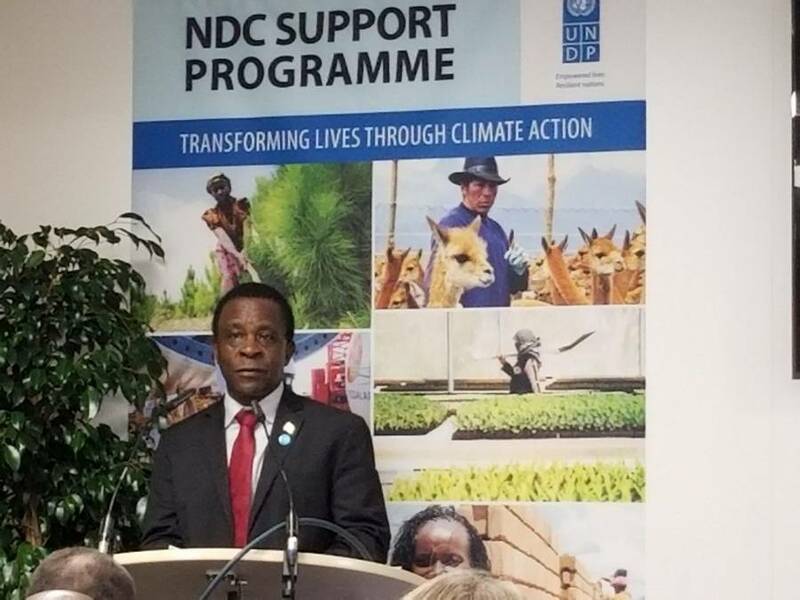 The Grenadian leader and CARICOM chairman was addressing an event of the United Nations Development Programme (UNDP) on the sidelines of Cop 23 in Bonn, Germany on Tuesday. “Time is of the essence in accessing those funds, as events such as these hurricanes are occurring more frequently. Reconstruction must therefore be climate resilient in time for the next event,” said Prime Minister Mitchell. The Prime Minister has been fronting calls for the international community to provide more financial aid to the Caribbean islands, who remain vulnerable to the ravages of hurricanes which have been on the rise. In recent months, 2 category 5 hurricanes swept across the Caribbean over a 2-week period, claiming lives and causing massive devastation. As a result 20,000 children in the Caribbean community have been affected and 32,000 people displaced. Prime Minister Mitchell has pointed at Dominica which was recently decimated by Hurricane Maria, 2 years after it was ravaged by Tropical Storm Erika. “Before rehabilitation and reconstruction was complete from that first event, a second climatic event has now compounded the problems. The estimated damage and loss from Maria amounts to almost 200% of GDP,” Dr. Mitchell said. Meantime, Prime Minister Mitchell is reporting positive signals from the international community regarding the region’s campaign for the relaxation of rules regarding eligibility for concessional development financing. “In a very almost diabolical way, construction adds to your GDP; hence your per capita income increases, and our countries are labelled as middle income. Therefore, they cannot access concessional development financing. It is a trap for countries like ours,” said the CARICOM Chairman. “As a matter of extreme urgency, I call for vulnerability to be included as a major criterion in determining eligibility for concessional development financing”. The World Bank report, ‘Turn down the Heat’ says the number of severe hurricanes is projected to increase by 40%, if global temperatures rise by 2°C, and up to 80% should they rise by 4°. The study also predicts that the expected sea-level rise will have devastating effects on all Small Island and Low-Lying Coastal Developing States (SIDS), particularly those in the Caribbean. “The events of last month underscore the fact that climate change is not a matter to be debated. For us, climate change is a lived reality. It is an existential threat to our region,” said Prime Minister Mitchell.